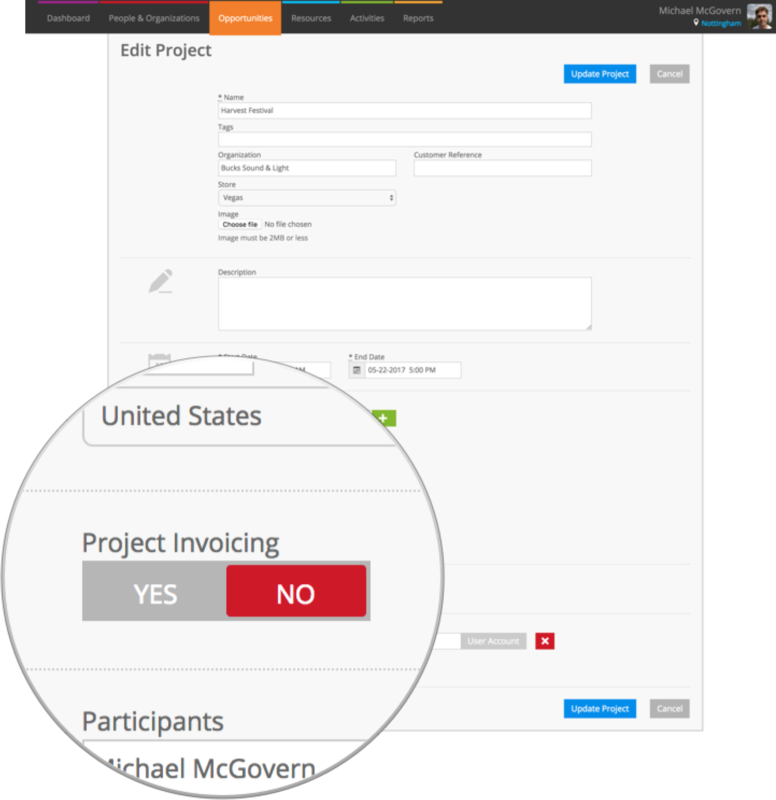 When project invoicing is enabled, the option to generate an invoice for individual opportunities is removed and an invoice is raised with the details entered against the project. 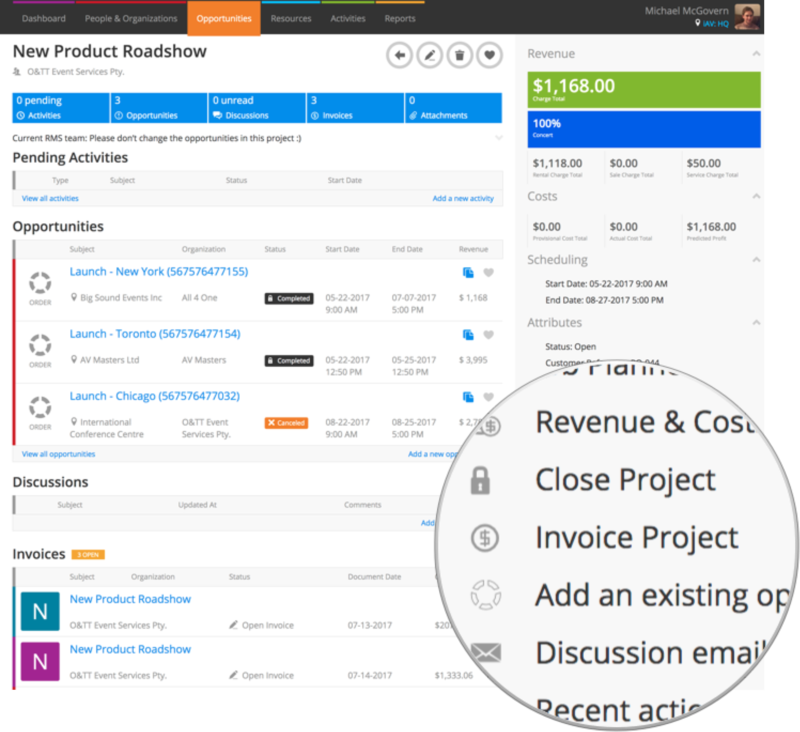 With project invoicing disabled, the option to generate invoices for individual opportunities within the project is available. You can still raise an invoice for the project when project invoice isn't enabled, but all of the opportunities must share some of the same details. In this guide, we’ll run through invoicing a project with both project invoicing enabled and disabled.